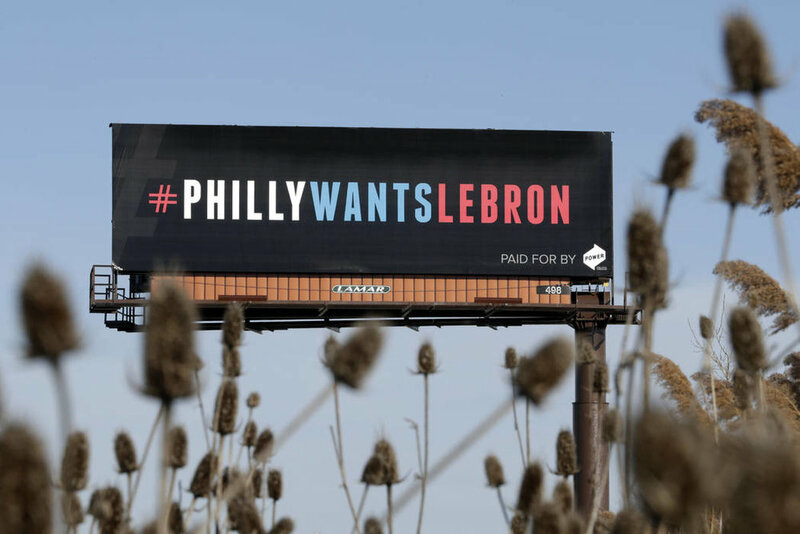 Just a few days after there were billboards up in the city of Cleveland advertising for Lebron James to join the Philadelphia 76ers this summer, the two teams met at the quicken loans arena on thursday night a national televised game. The Sixers defeated the Cleveland Cavaliers 108-97. A highly anticipated match up for the Sixers for the simple fact this could be a team auditioning for Lebron's services this summer. They did not disappoint. The Sixers used a balance attack to beat the Cavs with all five starters scoring in double figures. JJ Redick led the way with 22 points and hit 4-7 from three. Ben Simmons once again filled the stat sheet scoring 18 points and adding 9 rebs, and 8 ast. All-Star Joel Embiid had 17 points, 14 rebs, and 6 ast. LeBron james led all scorers with 30 points, and had 9 rebs and 8 ast to go along with it. LeBron didn't get much help from his supporting cast. Larry Nance Jr. had 13 points off the bench, and Rodney Hood who started in place of JR Smith (Suspended) added 11 points. So LeBron may have to ask himself, do you trust the process? The new looks cavs are now 4-3 since the trade before the All-Star break.